You must maintain records for all employees — exempt and non-exempt. These include the employee’s Social Security number, address, birth date if younger than 19 (for child labor provisions), gender (for Equal Pay Act compliance), total wages per pay period and date of payments. However, for non-exempt employees, you also must record the number of hours worked each workday and workweek, the employee’s hourly pay rate, total regular time and total overtime earnings for each workweek, as well as any deductions from pay. The responsibility for maintaining complete and accurate records falls upon the employer and management. If your company’s records are incomplete or inaccurate, and an employee claims he or she was underpaid, the claim will be nearly impossible to defend. The best way to prove actual hours of work is to keep thorough time records and have all employees sign and approve hours each week with the statement, “I certify that the hours recorded are true and accurate.” This acknowledgment will go a long way in the event of an employee lawsuit. You can find a handy Weekly Time Sheet here from HRdirect that includes this statement. 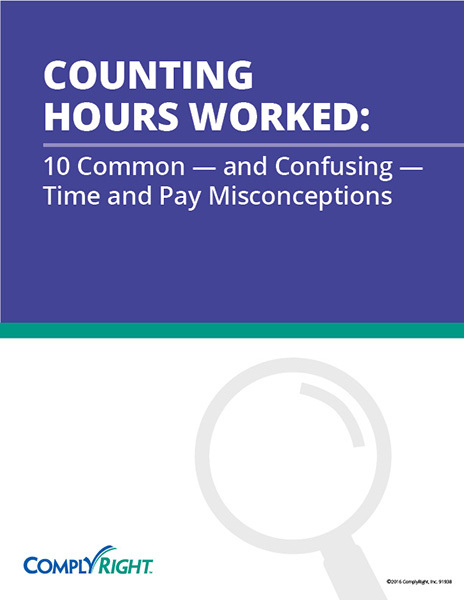 You’re going to have to keep careful track of overtime costs with new hourly employees. Non-exempt employees must be paid 1.5 x their regular hourly rate for all hours over 40 in a workweek. That can take a big bite out of your bottom line! The best way to control costs is to have a policy that all overtime be authorized by a manager in writing in advance. 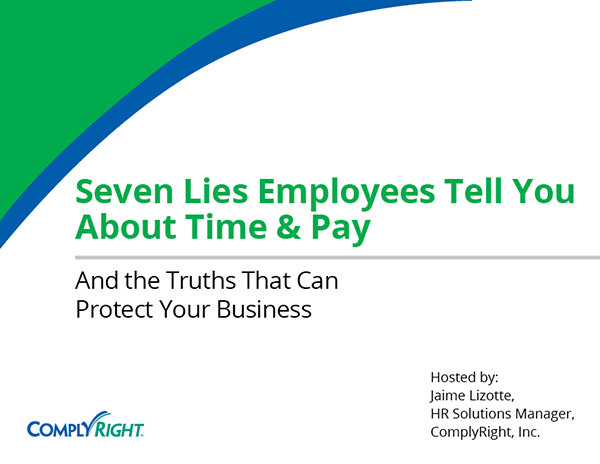 Keep in mind that, even if employees work unauthorized overtime hours, you still have to pay them. You may choose to discipline them with a verbal or written warning, but you still have to compensate them for the time worked. Otherwise, you could put your company at risk for an FLSA lawsuit. Non-exempt employees should clock out for any break longer than 25 minutes. However, they should not be asked to punch out for shorter periods, such as a brief restroom or coffee break. If employees clock out for a break — such as their usual 30-minute lunch — they cannot perform ANY work during that time. And if they do, by law, they must be paid for the time. That means your non-exempt employees cannot answer phones or even check work emails when clocked out. On a similar note, non-exempt employees can’t do any work after hours even — if they volunteer to take work home to catch up on an assignment. Remember, employers are obligated to pay non-exempt employees for all time worked, no matter the circumstances. It’s essential to make your policy very clear to newly non-exempt staff members. Let them know that off-the-clock work is never allowed, even if they want to learn something new or get ahead. This means not coming in early, leaving late or bringing work home without formal approval. The training or meeting is not directly related to the employee’s job. Here’s a good rule of thumb: Employees must be compensated for time spent at lectures, seminars, training programs or meetings if attendance is required or if the event is directly related to the employee’s job. 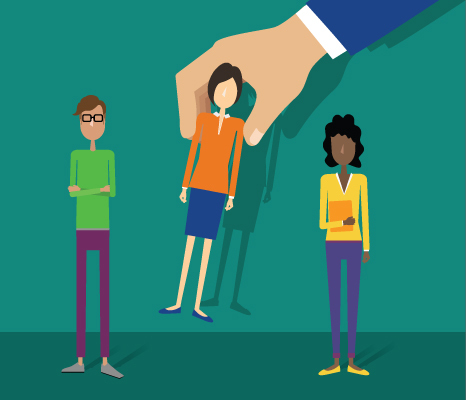 What if a non-exempt employee asks to work 48 hours in one workweek and 32 in the next? Beware! Compensatory time (granting time off in one week to make up for overtime worked in another) is illegal for private employers. Even if comp time is granted at the employee’s request, it is unlawful and may subject you to legal liability. In this case, you would have to pay the employee the regular rate for the first 40 hours in week one and grant overtime pay for the additional eight hours. For week two, the employee would receive the regular hourly rate for the 32 hours.